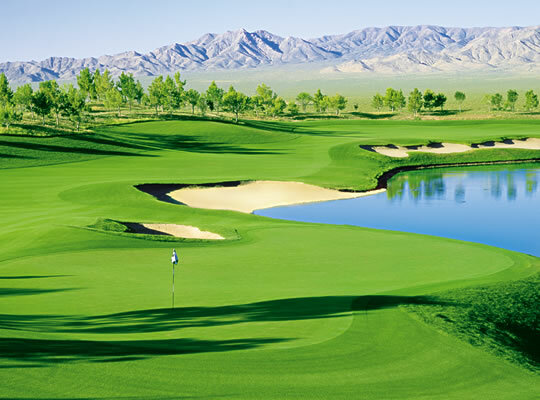 If you are looking to escape the hustle and bustle of the Las Vegas Valley, but still want to enjoy outstanding golf courses Primm Valley Golf Club is the place for you. 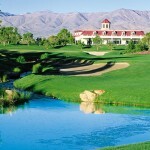 The Primm Valley Golf Club has quickly become one of the premiere golf experiences in the Las Vegas Area. 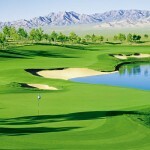 It features two spectacular Tom Fazio-designed golf courses, the Lakes Course and the Desert Course. Both courses were honored as two of the top 100 resort courses in the nation on Golf Magazine’s prestigious “Top 100 You Can Play” list for 2000. The Lakes Course, which has appeared on the list in previous years, was rated #51, and the Desert Course debuted at #93. The Lakes course, which opened in February of 1997, was renown as one of the top ten best new courses in 1997 by Golf Digest Magazine. Tom Fazio has created a lush green, golfers’ paradise in the middle of the desert with distant mountains and a vast expanse of wilderness as a backdrop. Generous fairways, that slope towards the middle make the course very player friendly. But don’t be fooled! The undulating, well-bunkered greens and water hazards will make it difficult to tame this beautiful beast. The course plays to 6,945 yards and a par of 71. 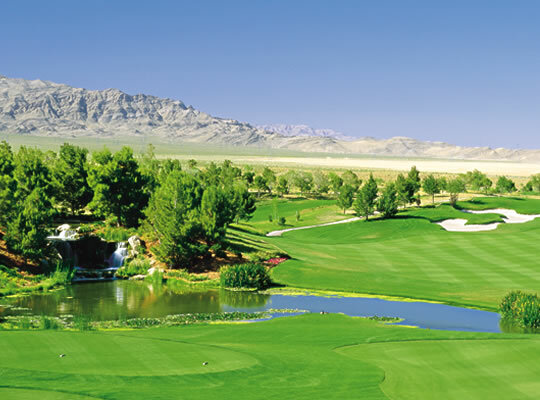 The Primm Valley Golf Club also features a 22-acre driving range and practice facility. Complete with practice putting, chipping, and sand bunkers, use of the facility is complimentary with each guest’s green fee. 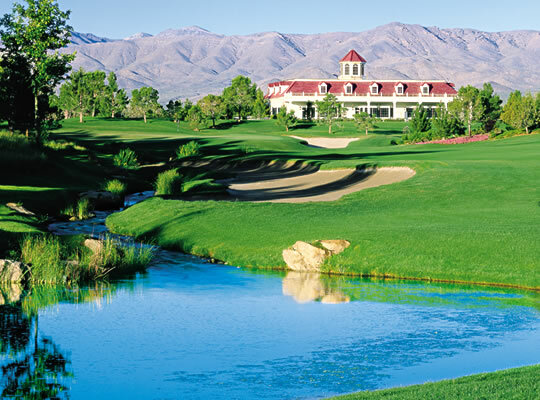 If you don’t mind an easy 40-50 minute drive from the strip, Primm Valley Golf Club is a strongly recommended choice that features two great golf courses, a beautiful clubhouse, and a friendly and helpful staff. 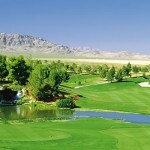 Book Primm Valley Resort-Lakes Now!